Your privacy is imprtant to us. We respect and protect your privacy. Your information is only used within V Wine Cellar and we do not sell, rent, or share any portion of our customer database to third parties. Should you use a credit card for payment, once your order is submitted, your credit card number is transmitted via secure and encrypted methods to keep your information safe. A credit card on file is required for all Quest wine club accounts. Upon providing this information, the customer authorizes V Wine Cellar to process orders on their behalf using their card on file. For your security, our web based ordering process utilizes Secure Socket Layer (SSL) technology. This ensures that all of your personal and payment information is transferred safely via encrypted methods. V Wine Cellar sells and ships wine only to persons 21 years of age or older. The wines are sold for personal consumption only, not for resale. By placing this order with V Wine Cellar, you certify under penalty of perjury that you and the recipient of this shipment are at least 21 years old. We normally ship every Tuesday, with the exception of shipments held for extreme weather or to take advantage of temperature controlled shipping during the summer. If you require specific timing on your shipment, please make a note on your order, call us at (707) 255-3908 or visit our contact page. 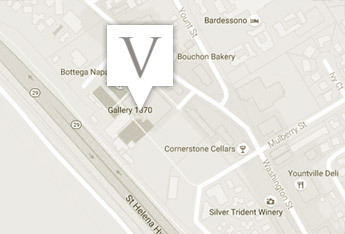 Our recommendation for shipping the wines is to use a business address, to ensure delivery on the first attempt. The shippers of our wine require an adult (21 years of age or older) signature and if an adult is not available to receive the shipment of wine, additional delivery attempts will be made. If these attempts are unsuccessful, your order will be returned to the winery, resulting in additional shipping costs. In the event that the wine is returned to us and we are unable to make contact with you within 3 months, your order will be refunded minus the shipping charges and a $25 restocking fee. The $25 restocking fee may also be applied to all cancelled or refused orders and shipments. At V Wine Cellar, we are committed to making superlative wines that respectfully embody the special vineyards we source from. If for any reason you are dissatisfied with your order, please contact us at 707-531-7053 or visit our contact page.